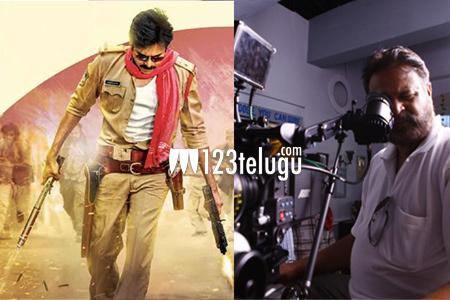 The regular shooting of Pawan Kalyan’s upcoming action entertainer,Sardaar Gabbar Singh, is going on at a brisk pace in Hyderabad. Directed by Bobby, the film has Kajal Aggarwal as the leading lady.Young actress Lakshmi Rai is essaying a crucial role in the film. In a major setback to the proceedings, Jayanan Vincent ,the cinematographer of the film, made a sudden exit from the project due to some unknown reasons. It is heard that the makers are planning to rope in Arthur A Wilson to can shots for the remaining portion. Sharrat Marar is producing the film in association with Pawan Kalyan Creative Works and Eros International. Devi Sri Prasad is scoring the soundtrack. Nandamuri hero attempting biopic-Will he be successful? Lengthy runtime for Maharshi-Will it be an obstacle?